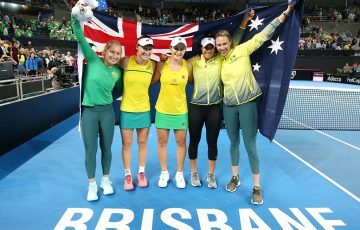 The wait goes on for Australia's Fed Cup team as wet weather continues to delay the start of their World Group Play-off tie against Switzerland. 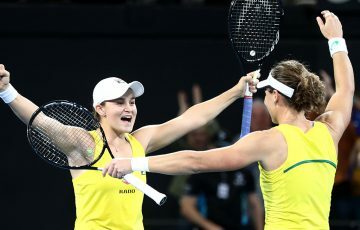 The wait goes on for Australia’s Fed Cup team as wet weather continues to delay the start of their World Group Play-off tie against Switzerland. After the first day was washed out in Chiasso, more rain on Sunday morning had prevented play commencing on Day 2. Conditions were clearing early on Sunday afternoon with organisers to announce at 4pm local (12am AEST) whether any play would be possible. The delay means the best-of-five tie is almost certain to extend into Monday, with rules also allowing for play on Tuesday if required. It’s not an ideal scenario for several players involved in events this week, including Australian spearhead Samantha Stosur who was due to fly to Stuttgart, Germany on Monday. 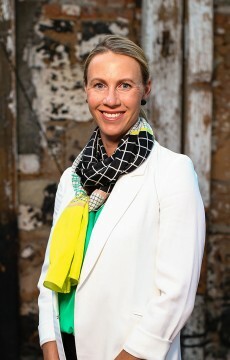 Australian team captain Alicia Molik said her team was accepting of the situation and she felt for organisers and the people of the southern Swiss city. 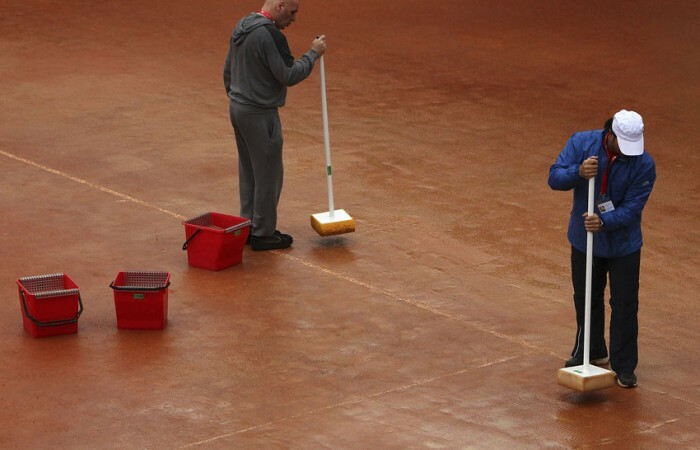 The squad has been able to continue training on an indoor clay court at its hotel. “It’s just the way it goes that not everything goes according to plan but our practice really hasn’t been disrupted,” Molik said. 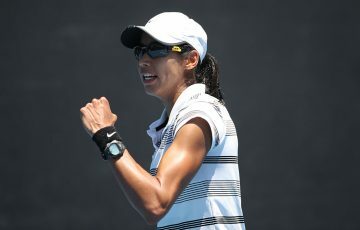 Stosur is due first up on court in the opening singles match against Swiss No.2 Stefanie Voegele. Australia need to win the tie to remain the competition’s top eight.